Hawaii Car Insurance Quotes and Regulations « Car Insurance Calculator – Car Insurance Estimator for You! Nearly all car insurance policies have a provision that will adjust your coverage from the minimums required in your state to the minimum insurance or proof of financial responsibility in another U.S. state. So you do not need to get a new insurance policy for each state you are driving through. Then again, if you get your policy in a relatively low limits state (like Hawaii or Georgia) but live in a high limits state (like Alaska ), insurers will only write a policy where your car is principally garaged. So if your home is in Alaska, you should buy according to the auto insurance requirements for Alaska. Hawaii’s required insurance limits are low compared to other states and especially considering the cost of repair and damages likely to occur in an accident. Hawaii’s no-fault law only applies to personal injuries arising from negligence, not intentional or acts of gross negligence and does not apply to property damage you cause to others. If you cause injuries in excess of $5,000, you may be sued for damages greater than $5,000. If you are in a serious collision and the damages you caused are greater than the coverage limits you purchased, you may be personally liable to pay for those damages that exceed your insurance coverage. Purchasing additional coverage or other types of auto insurance might be a good idea for your financial safety. 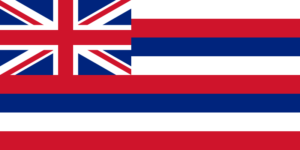 Hawaii is usually considered a no-fault state, but also described as a modified comparative fault state with a 51% rule. This is a legal defense that means that a plaintiff can recover for an injury, reducing the amount that the plaintiff can recover based on the percentage of which the plaintiff is at fault if it is determined that his or her fault in causing the injury is less than 51%. If the plaintiff’s fault level reaches 51% or more, he or she cannot recover any damages resulting from the accident. In Hawaii, Driving Under the Influence (DUI) is a misdemeanor offense. If you are 21 years or older, if you have a Blood Alcohol Content (BAC) level of .08% or higher while driving, Hawaii law presumes you are driving under the influence. If you are 21 years or older, if you have a BAC level of .15% or higher, Hawaii law presumes you are a “Highly Intoxicated Driver” and are subject to greater criminal and administrative sanctions. If you are under 21, a lower BAC applies to you. You will automatically have your license suspended for 1 year. As of January 1, 2011, Hawaii requires an ignition interlock device after your license is restored or you obtain a restricted license. You may be eligible for a restricted license for work or school. A first time DUI may be sentenced from 48 hours to 5 days of jail time. You must complete an Alcohol/Drug Program. Fines can vary from $150.00 to $1000.00. Mandatory public service of 72 hours is required. A SR-22 is required for restricted or restored driver’s license after a DUI suspension. You will automatically have your license suspended for 1 year. As of January 1, 2011, Hawaii requires an ignition interlock device after your license is restored or you obtain a restricted license. You may be eligible for a restricted license for work or school. A second time DUI may be sentenced from 5 days to 15 days of jail time. You must complete an Alcohol/Drug Program. Fines can vary from $500.00 to $1500.00. Mandatory public service of 240 hours is required. A SR-22 is required for restricted or restored driver’s license after a DUI suspension. Read more about car insurance company rankings.